Who is it for? 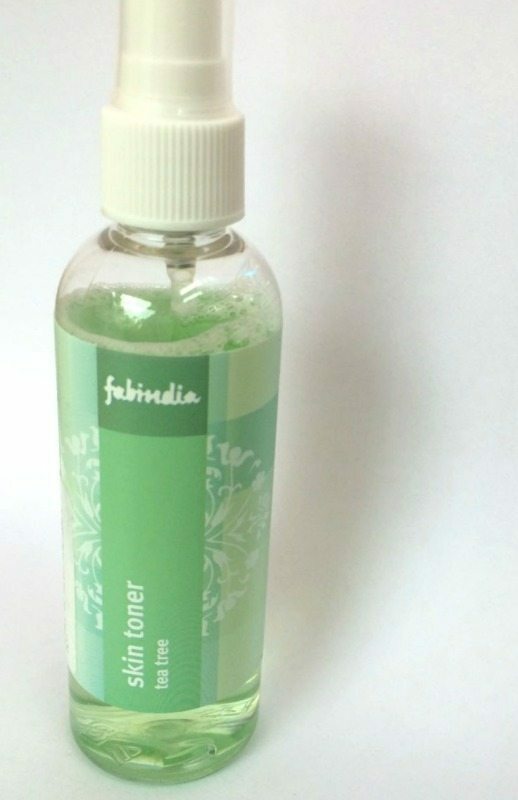 Fabindia Tea Tree Toner is skin toner which mainly made from tea tree oil, neem and turmeric extract and is a salicylic acid based product which is good for oily/acne prone skin. For girls with an acne problem and minor blemishes, this product is for you as it will help you in curbing and controlling acne and also add an instant glow to your face. The packaging of the product is simple. It comes in a spray bottle. The toner has a transparent looking green color. The usage is simple, you need to spray the toner onto a cotton swab and then gently stroke the cotton swab all over face in an upward direction avoiding the eye and the mouth area. This product has been with me for over a month now since my facial rose water got over so I bought this one. This product is not a natural product and does have chemicals but it does help in giving me clear looking skin and instantly glowing skin. Also, it does takes care of, minor blemishes and they become less visible and light with the gradual usage of the product. It didn’t cause me to break out which makes it a good product and doesn’t make my skin oily. The product does have a mild bearable fragrance to it which means it does contain chemicals. So overall this product lives up to the brand claims but however, it does have alcohol and is not alcohol-free so that claim of the brand is false. But overall it’s a good and effective product which is reasonably priced. Overall would I recommend or repurchase? I would not repurchase this, I would any day prefer the facial rose water over this chemical product. But if you want to prevent and cure acne and make your blemishes lighter then I would recommend you to try this product as it is a good and effective product.